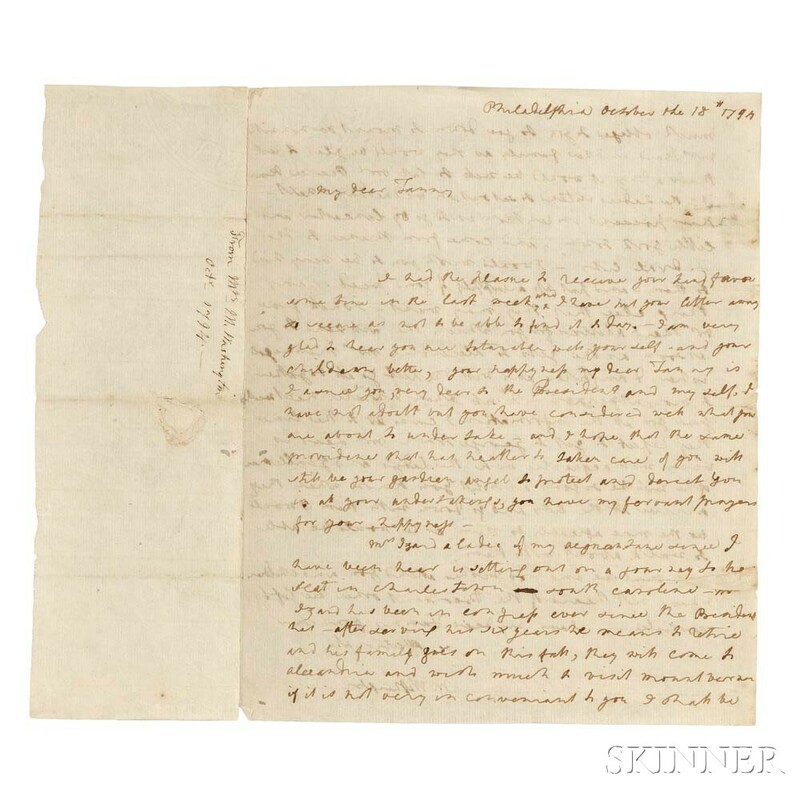 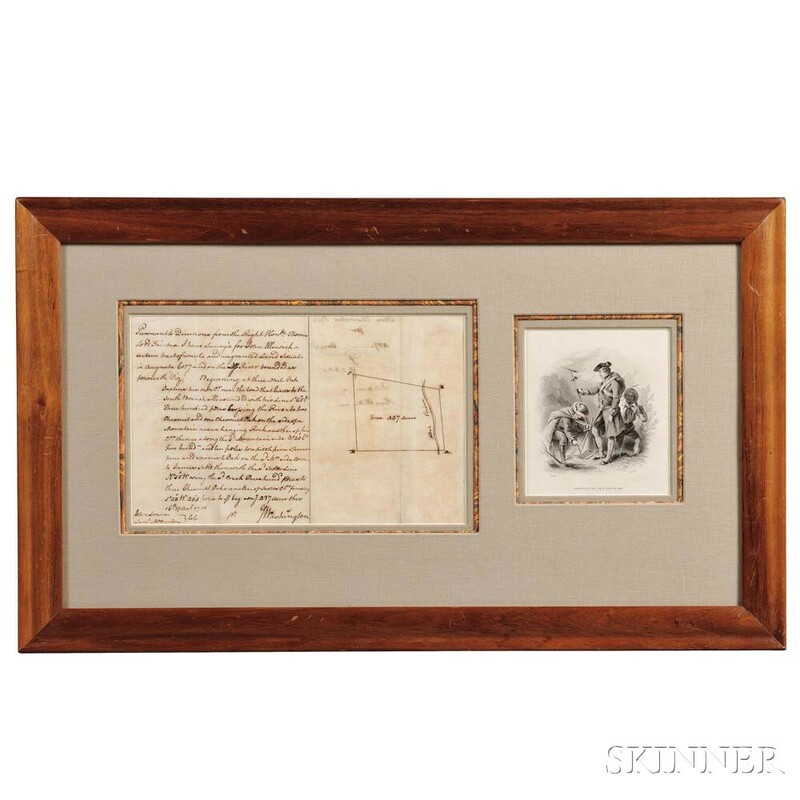 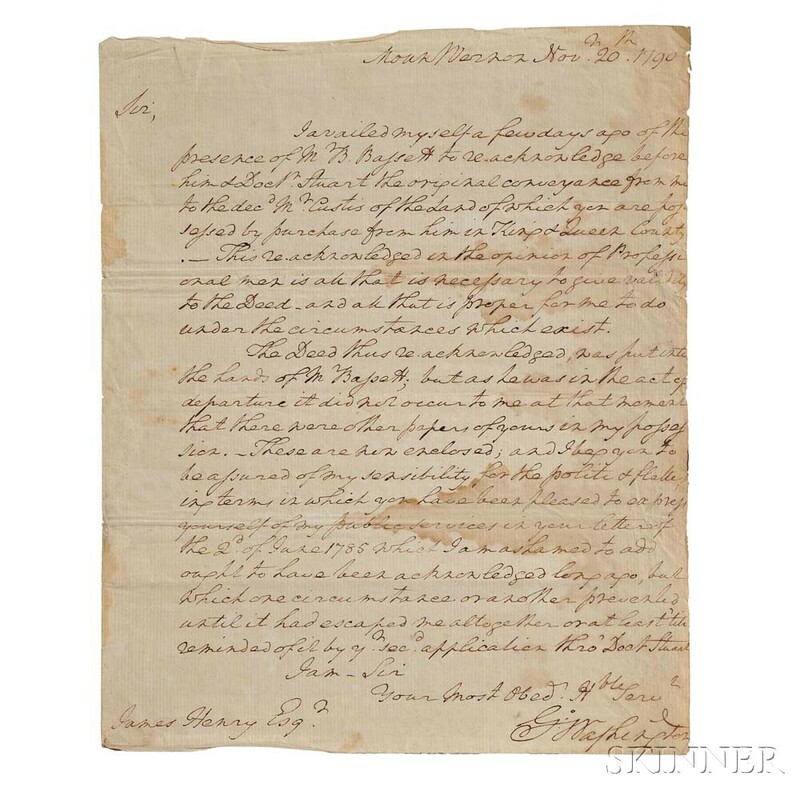 Skinner’s October 30 Fine Books & Manuscripts auction will feature one of the most notable collections of original signed George Washington material to be offered at auction in recent history. 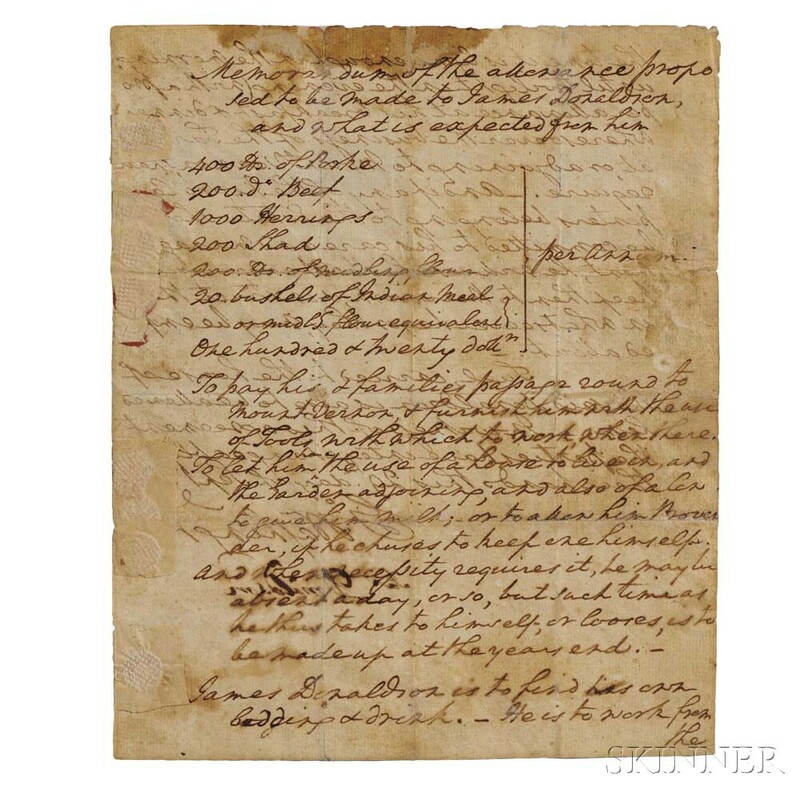 The material is diverse, and highlights Washington’s ongoing commitment to nurturing and maintaining Mount Vernon, important moments during the Revolutionary War, and the first Presidency. 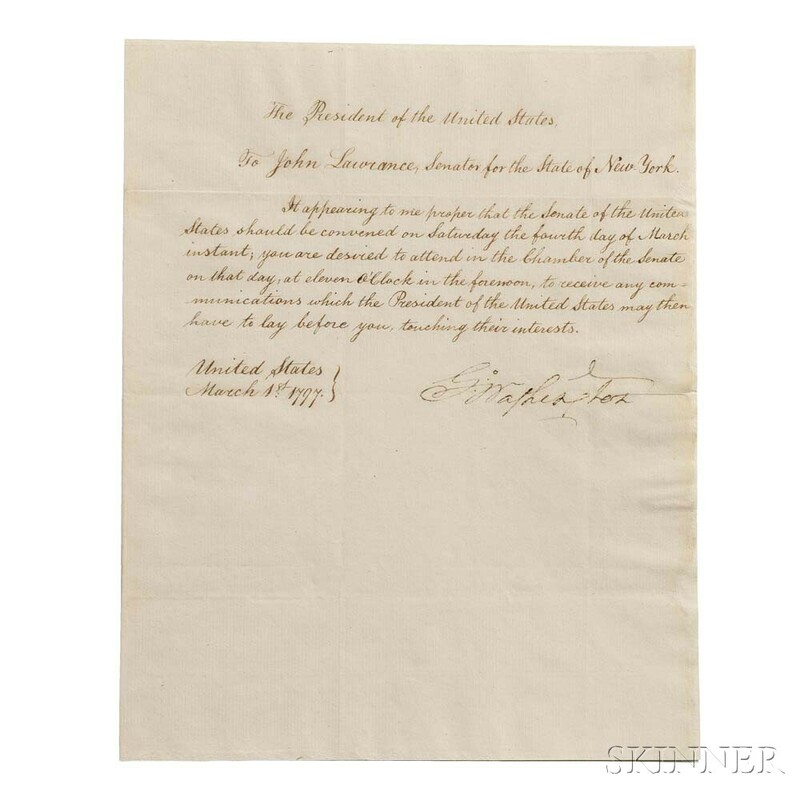 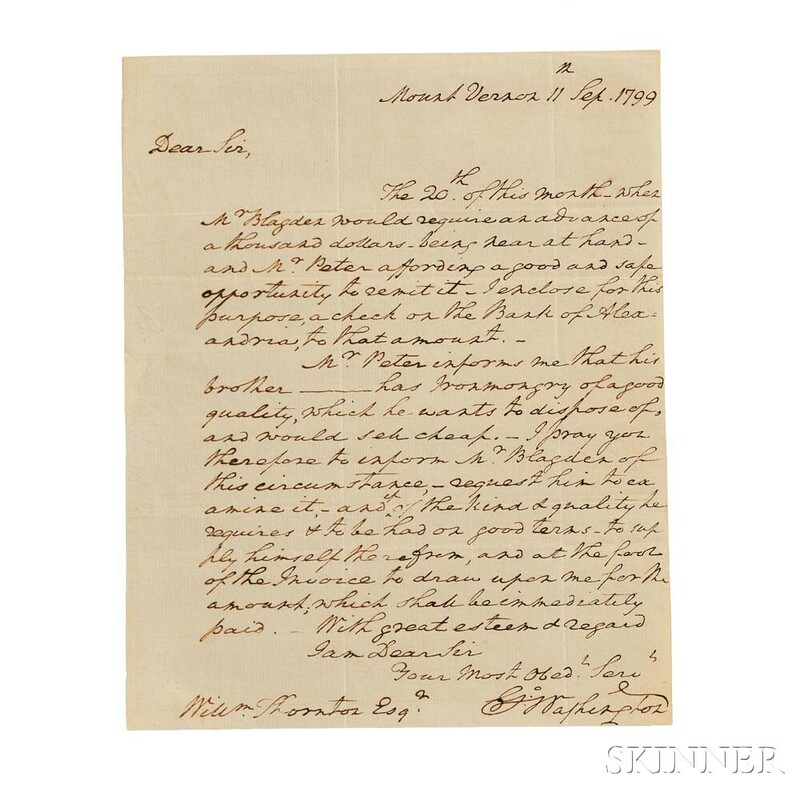 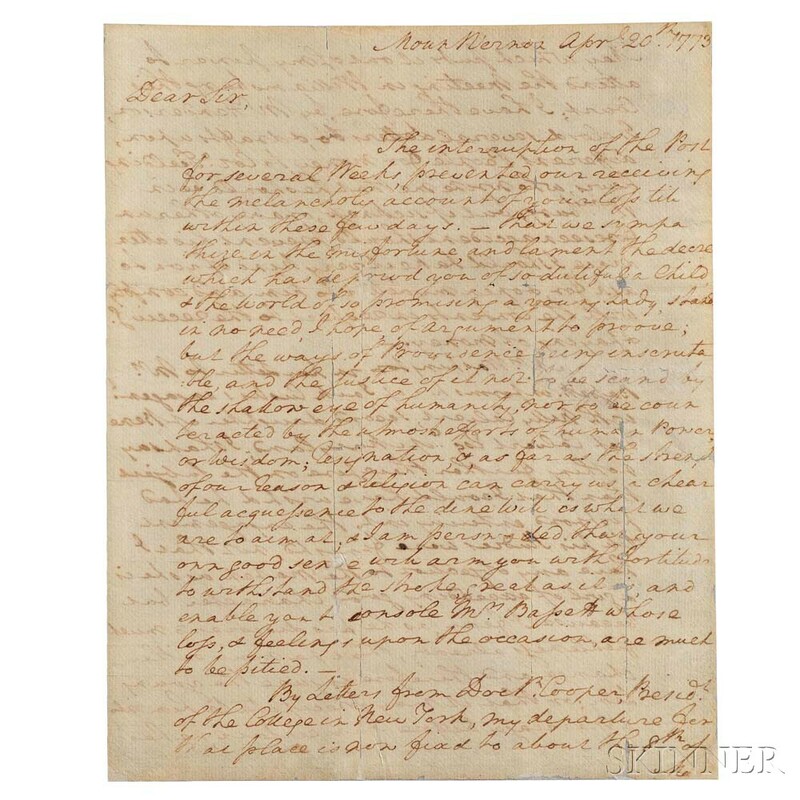 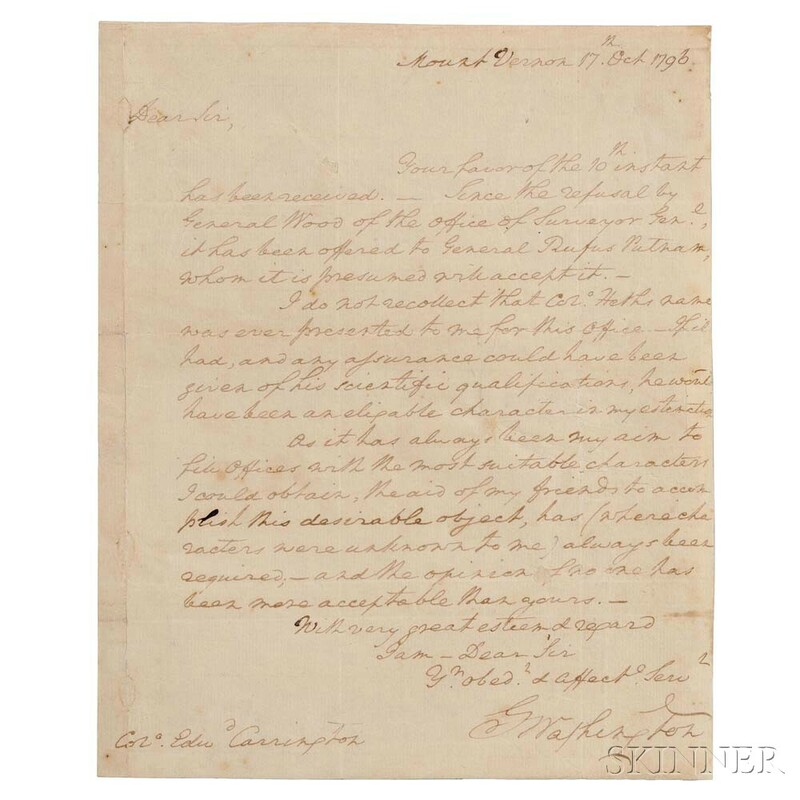 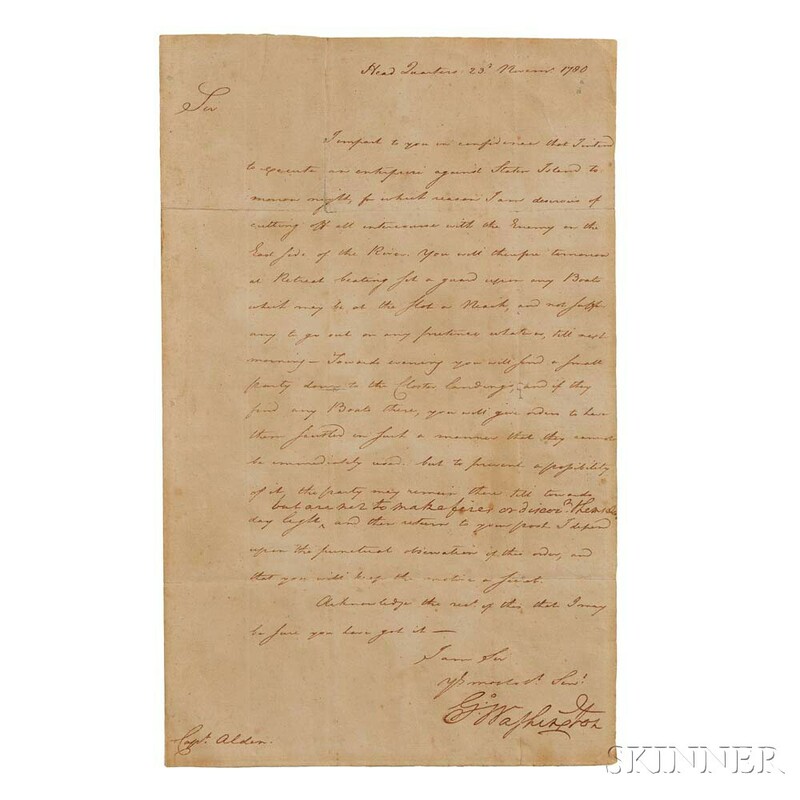 A large selection of material from the collection of Chicago’s late David A. Spinney opens the auction at 11AM and includes more than 20 original letters and documents bearing the signature of the first President of the United States.